Primeval Origins: Light of Honor continues winning awards! The National Association of Book Entrepreneurs (NABE) just announced the winners of its Summer 2018 Pinnacle Achievement Awards. 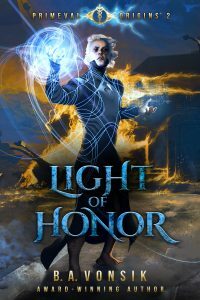 Light of Honor won the Fantasy Best Books category, making this the 7th award for Book 2 in the Primeval Origins Epic Saga.